Own a grocery or convenience store? Is your stock on household cleaning supplies spilling over and there’s difficulty in telling the old and new stocks apart? Do you want a tried-and-tested measure for controlling inventory? Do you also want to somehow help out those in your community who are in a bit of a tight budget? 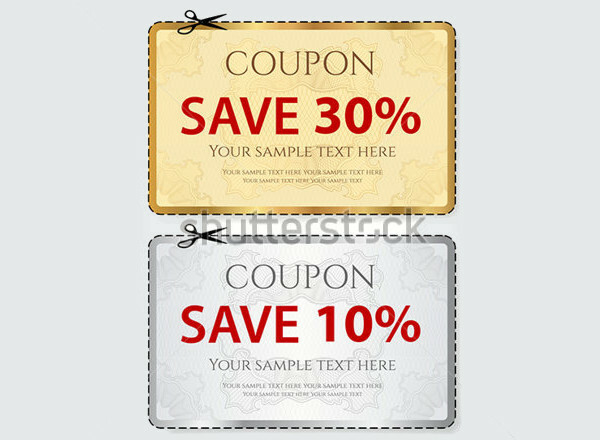 Well, buddy, with these Printable Coupon designs, you are most definitely in luck! 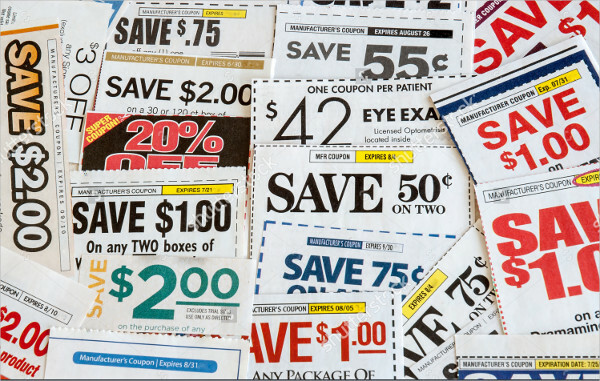 With our collection of the best grocery coupon designs, you’ll have some of your older stocks flying off the shelves! 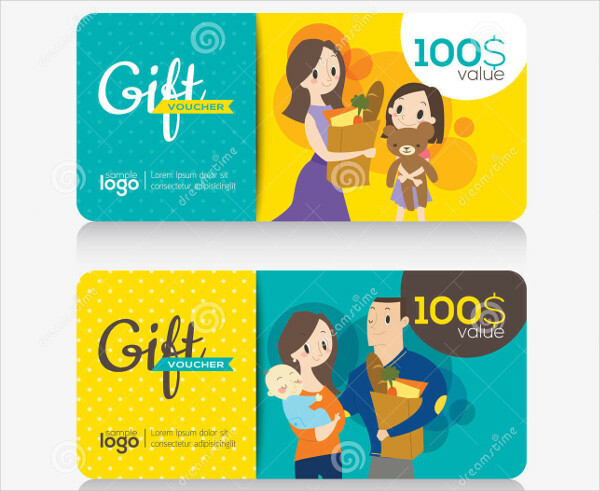 They come in with an assortment of designs and formats, such as, JPG, PSD, and AI Illustrator. 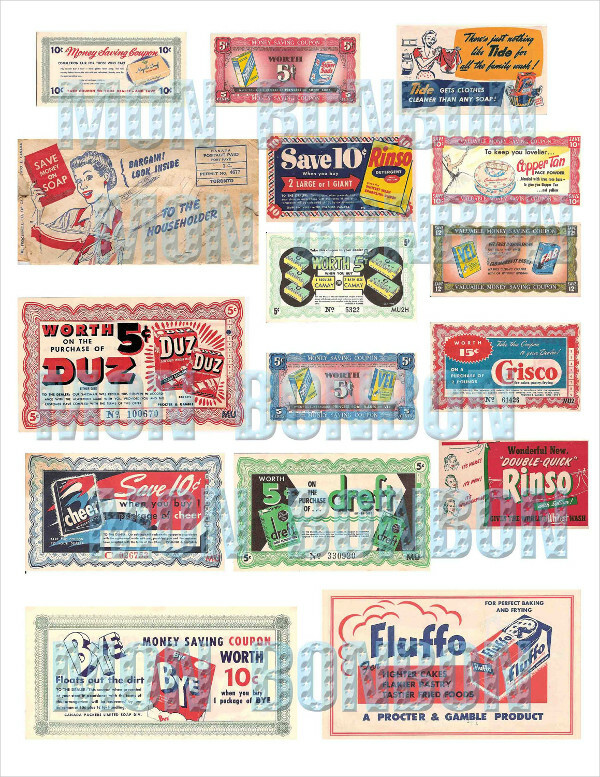 Coupons have gone way back to 1887 with Asa Candler having created this marketing device to get Coca-Cola sales up. 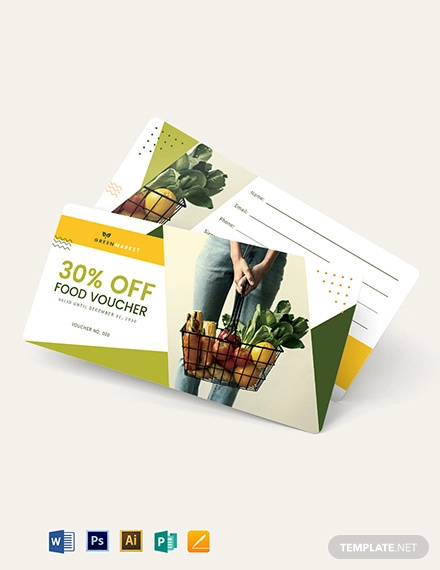 Whether that be a Food Coupon or one for some other product, whether your goal is to control inventory and sales or to get your product out into the market, one thing’s for certain: coupons are effective. 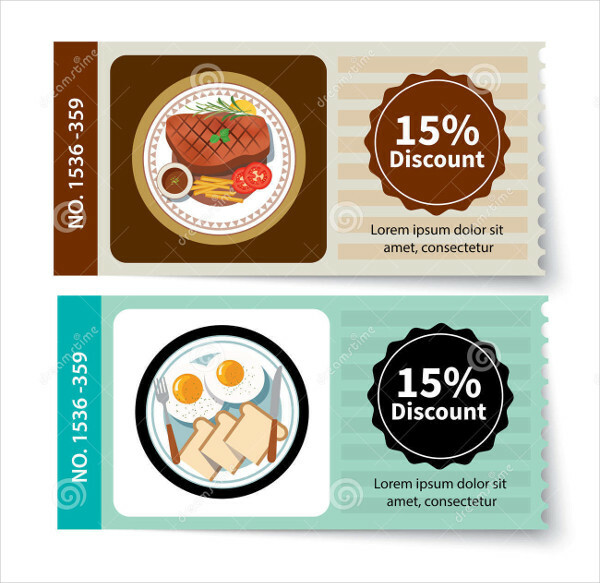 Percentages, dollar amounts, the number of product units per coupon, they all make a difference. It’s the first thing people’s eyes latch onto. 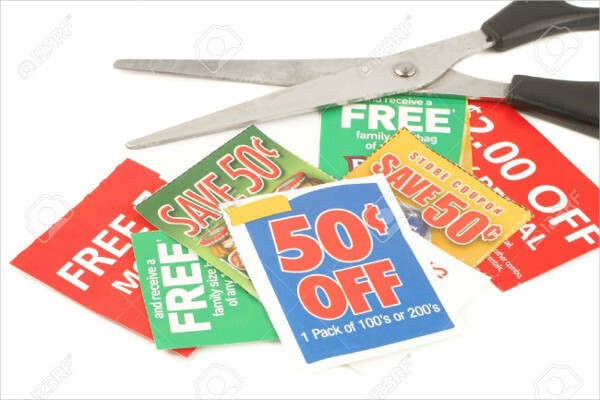 Take for example “Money Saving Grocery Coupon.” Notice how “50 cents OFF” is in block letters? 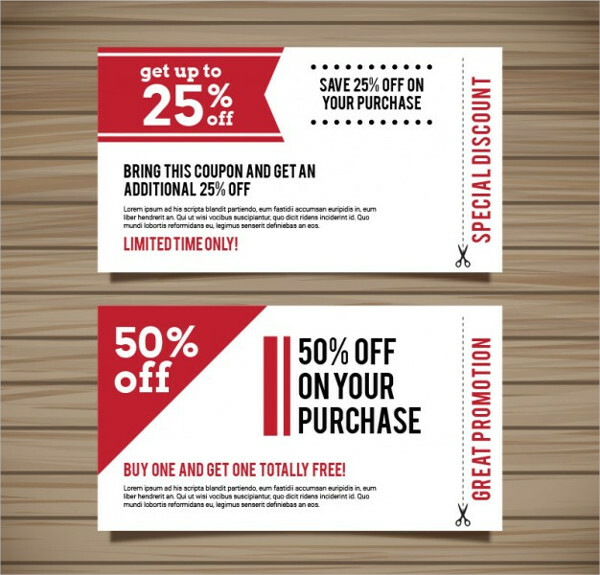 And look at how the “50% off” is in block letters and isolated from the rest of the text in “Discount Grocery Coupon.” They mean one thing: people want value for their money. 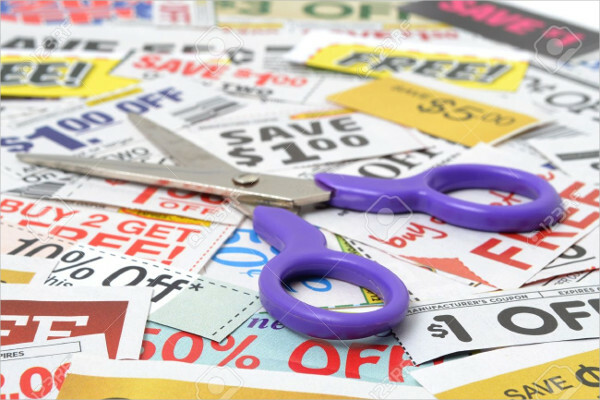 If you check out any one of these coupon designs, you’ll notice that the words free, sale, save, off, and discount are all emphasized one way or another. They’re repeated by several others because they’re foolproof baits for those on the prowl for a good deal. 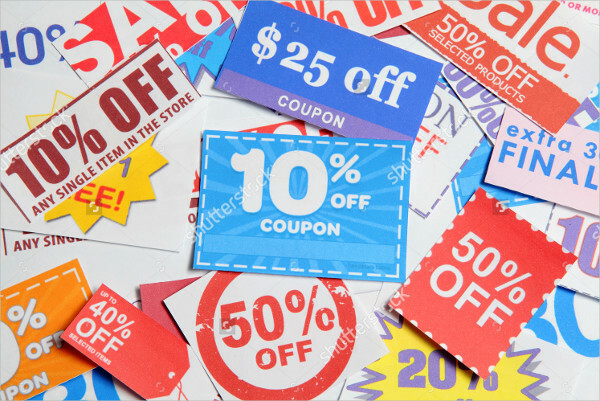 Notice how the coupons primarily made use of reds, yellows, oranges, greens, and blues? Now there’s a whole science behind this, but let’s not get into that. Basically, those at the top of the rainbow are those most easily seen from afar. There are plenty other businesses out there (some even have only emerged from people’s think tanks in the last few years). 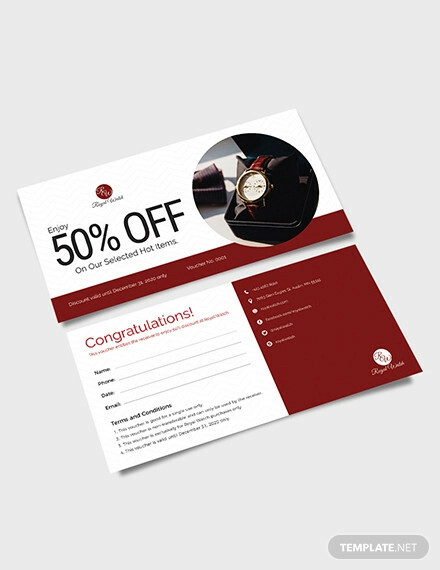 Whether you’re selling goods or services, you can definitely find uses for these coupons. For instance, you could own a diner and offer half off on your most expensive menu item. 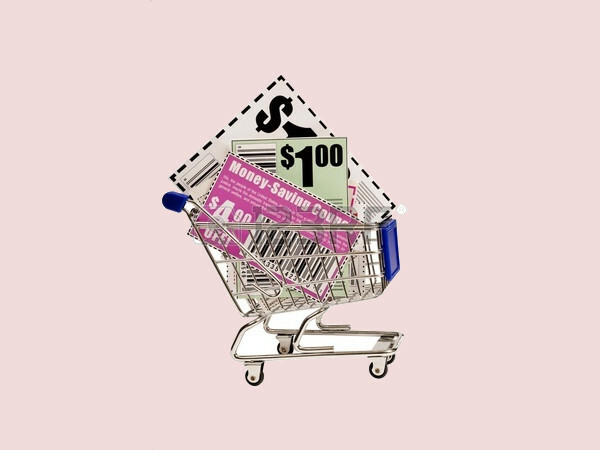 Something like the “Grocery Food Coupon” would be perfect for this. For certain long events, like a day-long Renaissance fair, you could accompany the tickets with complimentary meal stubs with perhaps a spending cap of $15. This is good for the event and the businesses involved. The same principle of downloading and editing applies here.